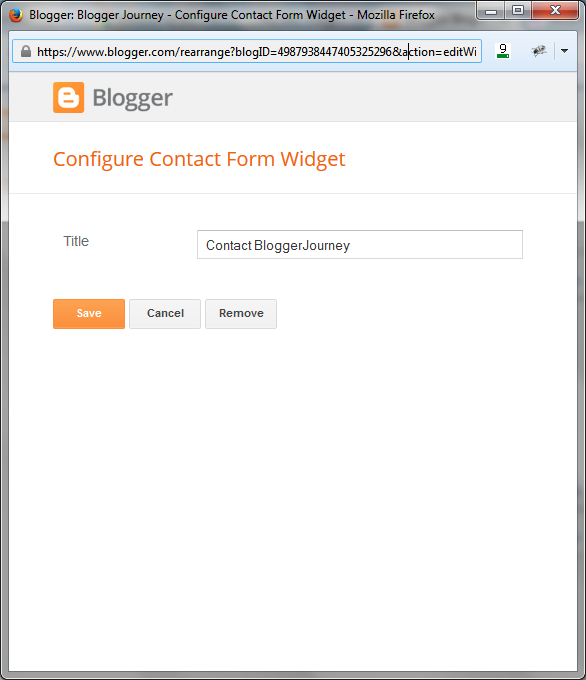 Blogger.com gets a native Contact Form now ! Contact Form was one feature missed by Blogger.com / blogspot.com for a long time until recently. 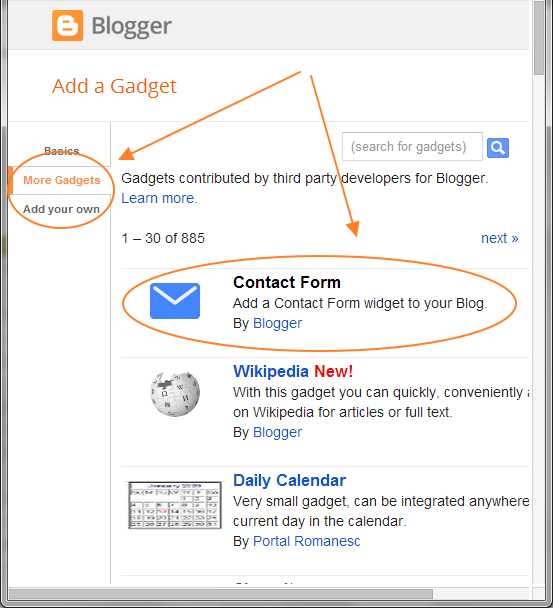 In the past people have to either find a 3rd party solution or use a contact form hosted by another compay, now you can get a Contact Form embeded to your Blogger.com blog right from Blogger.com directly. It's easy, simply, fast and secure. If you are not using it, it's time to try ! Demo: On my site, click on the Contact tab at the top, you will see how it looks like. The good news is, if a Contact form at the sidebar if good enough for you, then just a few click can make it ready to go. But if you want the form only appear on a specific page, then you need to add two lines of code to the template, otherwise the form will be showing up on all pages other than just one specific page. Today at first, I will show you how to add a contact form to you Blogger sidebar by a few clicks. 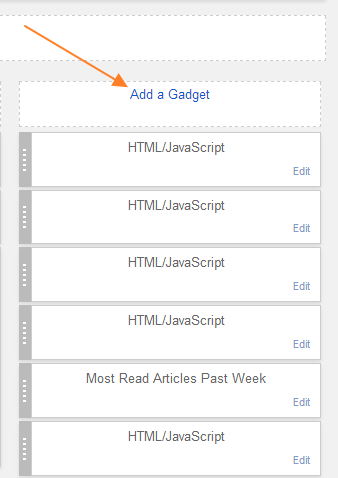 Step 1: From dashboard, click on "Layout"
Step 2: In the blog layout window, click the "add a gadget" button above the side bar section. Setp 3: In the popup window, from the top-left corner click on "more Gadgets". You will see a list of available gadgets show up at right. The first on the list is Contact Form. Click on the Blue + button at the right of the Contact Form list. Step 4: A configuration window pops up. Type in the title for this form, You can simply just use "Contact" as title. Then click on "Save" button. Step 5: It goes back to the layout window, and the newly added Contact gadget is showing at the top of list in the sidebar. Now you can drag and place it to any lower position you want. Step 6: On the layout window, from the top-right corner, click on the orange "Save Arrangement" button to save all the changes. Now refresh you blog. Do you see the new contact form showing on the sidebar? Note: All the contact requests coming from that Contact Form will be sent to your gmail account. If you'd prefer to add the contact form to a specific page like what I did, there are a few extra steps to do, including: add 2 lines code to the template, create a specific page etc. I will show you how to do it in later post.